I was surprised this morning to be told that my forthcoming book, Crash Course in Genealogy, is now listed at Amazon.com. It is listed as being available June 30th. It isn't even listed on the publisher's site yet. I hope it is available a little earlier than that--at least in time for the American Library Association Annual Conference in New Orleans in late June. However, I am just expecting to get the page proofs back from the editor later today. I'll then have to proofread the manuscript one more time and create an index. That should be completed before April 14th when we leave for a short trip to babysit two of our grandchildren while their parents attend a wedding. It would have been ideal to have been able to have the book in hand before the National Genealogical Society Conference in Charleston, SC in May and the Jamboree of the Southern California Genealogical Society in Burbank in early June. The latter is possible but unlikely. Although Crash Course in Genealogy is intended prepare library workers to assist family history researchers who come into their libraries, it will also provide step by step guidance to genealogists. This book provides information about the questions asked on the 1940 US Census which will be opened to the public a year from this coming Saturday. It gives an overview of incorporating DNA testing into family history research. Tips are also provided on taking family research back to Europe. In just a few short months, genealogists from around the world will flock to Charleston, South Carolina, for one of the largest yearly family history events in the United States– the National Genealogical Society Conference. The 2011 National Genealogical Society (NGS) Conference will be held in Charleston on 11-14 May 2011. To learn more, visit the Conference website. To show support for this event and to help people seeking South Carolina ancestors, FamilySearch staff are currently working to expand the content in the South Carolina pages in the FamilySearch Research Wiki. FamilySearch Research Wiki is a collection of thousands of research articles containing information on record types and localities around the world. The wiki is available for free atwww.familysearch.org, in the Learn section. In order to give South Carolina the treatment it deserves, FamilySearch needs your help. Volunteers of all knowledge and skill levels are needed to complete simple and easy to do tasks, only some of which require local expertise. Volunteers will have the opportunity to work with Family History Library staff to improve the quality of the South Carolina information in the Research Wiki about deeds, military records, wills, genealogical societies, compiled genealogies, libraries, and much more. If you have a few hours to share and would like to help out, contact FamilySearch at USWiki@familysearch.org to learn more. Check out what’s already been completed at wiki.familysearch.org/en/South Carolina. Already involved and want to get others excited? Download, print, and hang up a poster about the FamilySearch Wiki by going to: South Carolina poster. "The world’s largest free genealogy search engine, Mocavo.com, provides genealogists access to the best free genealogy content on the web including billions of names, dates and places worldwide. Mocavo.com seeks to index and make searchable all of the world’s free genealogy information. While Mocavo.com discovers new sites every day, some of the existing sites searchable on Mocavo.com include genealogy message boards, family trees, state and local historical societies, the Library of Congress, National Archives, Ellis Island, Find A Grave, the Internet Archive, various U.S. state archives, and many tens of thousands of genealogy sites built by individuals. Similar to other search engines, Mocavo.com honors site owners by linking directly to their content." If you use RootsMagic or are thinking about it, you should check out their series of free webinars. The next one is this afternoon at 4:00 PM Pacific time (7:00 Eastern). Also when you are on this page, check the list of past webinars that you can download and watch on your computer at your leisure. Today's topic is Creating Custom Reports with RootsMagic. 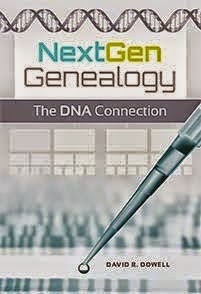 This is a convenient and cost effective way to learn how to get more out of you genealogy software and to share your family history with others.